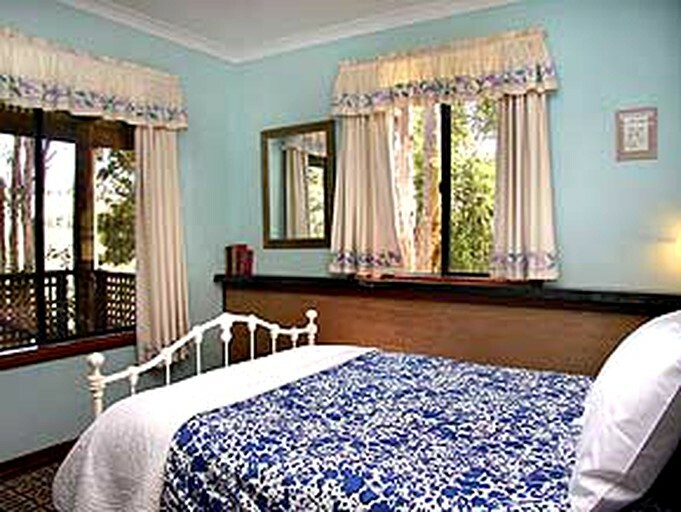 This cozy cottage near Bibbulmun Track is located in Balingup, Western Australia, and can accommodate six guests. There are two bedrooms and a full bathroom. The first bedroom has a queen-size bed and a beautiful view looking out the front porch offering wonderful natural lighting. 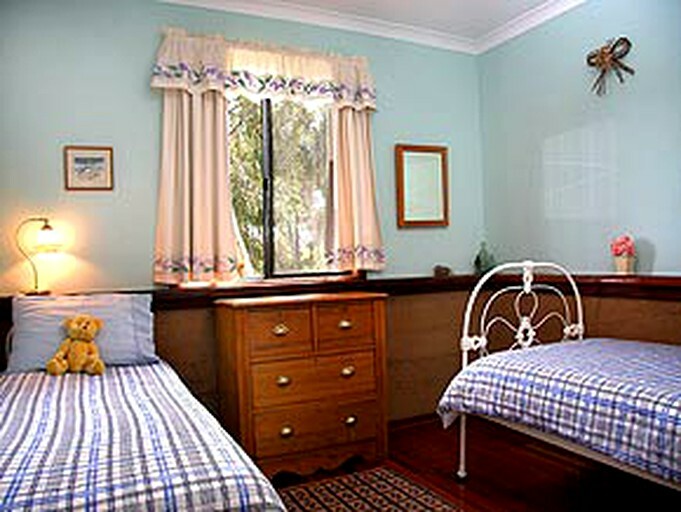 The second bedroom has two twin-size beds. A cot and a high chair are available upon request. In the bathroom, guests will find a toilet, a sink, and a shower. Linens and towels are provided. In the living room, guests will find a sofa, a television, a DVD player, a CD player, a fireplace, and lovely hardwood floors. The fully equipped kitchen comes with a stove, a refrigerator, and a sink. The facilities at this site are exceptional. 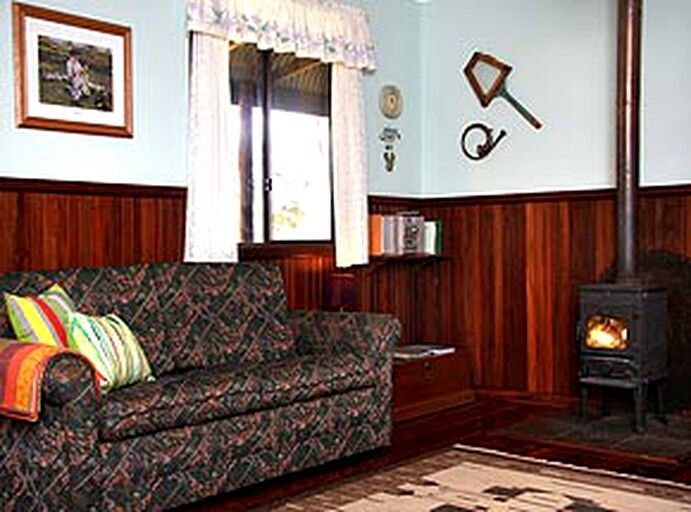 The cottage comes fully equipped with two bedrooms and can sleep up to six guests. 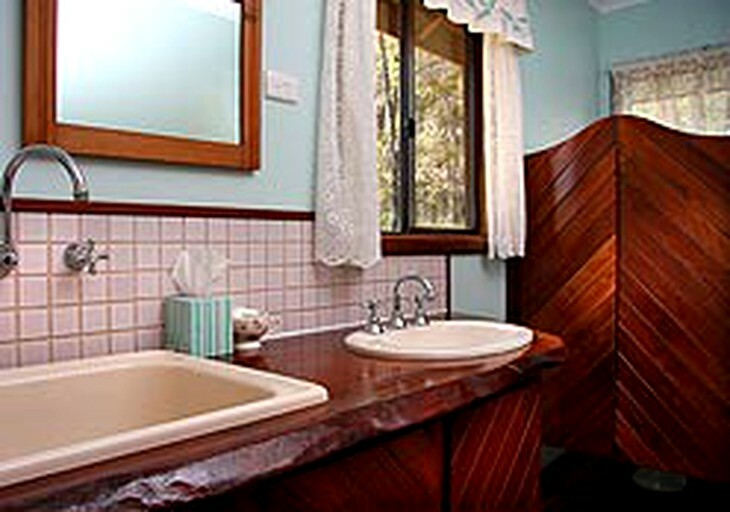 Cottages are also equipped with linens heated towel rails, a cozy wood fire, a television, a CD and DVD player. The kitchen comes with a stove and a good size refrigerator. Outdoors guests will also have access to a great bush BBQ. A cot and high chairs are available for guests. 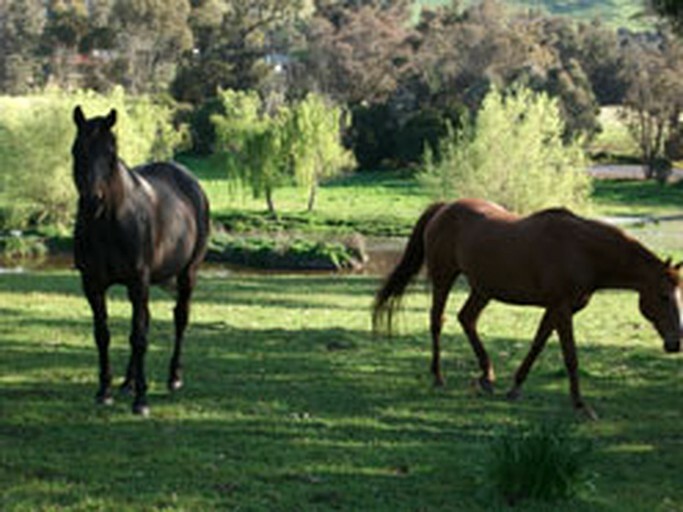 The site also offers horse facilities with feed and a safe paddock for the horse. 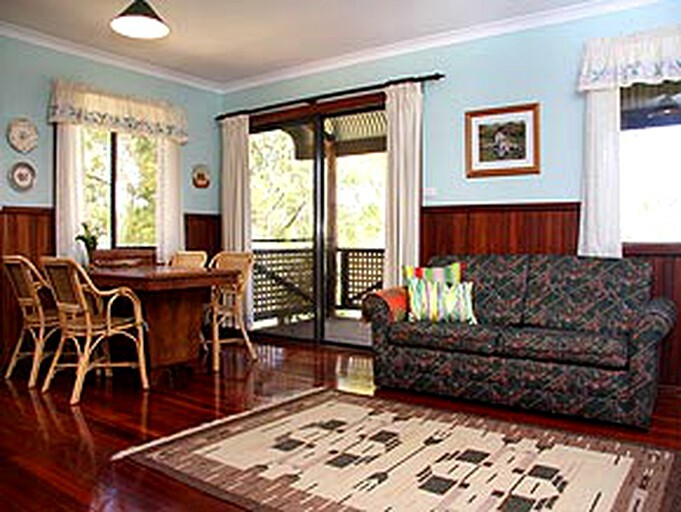 This wonderful accommodation offers free transfers and car storage for those interested in the Bibbulmun Track. A complimentary breakfast will only be offered to guests on the first morning of their stay. Please inquire with the hosts over the availability of special packages. 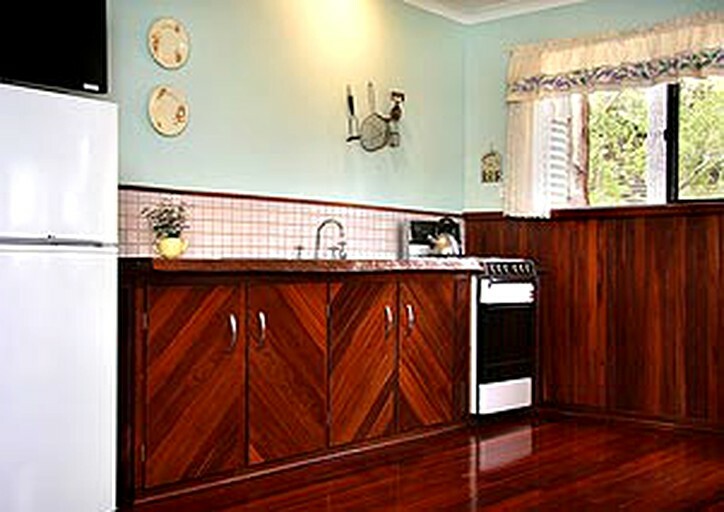 Glampers staying at this accommodation will enjoy wine tasting in the heart of the Geographe Wine Region with wineries like Birdwood Pine Fruit Winery. Some fine dining options include places like The Mushroom at No 61 Cafe or Balingup Rib and Steak. Glampers can also enjoy many outdoor activities like fishing at Blackwood River or golfing at the Greenbush Golf Course. This lovely property also offers the opportunity to feed the animals, they have horses and geese on site. Glampers can also go on a lovely bike ride at West Coast Trail Bike Park, it is a great way to spend a morning or an afternoon. Other activities include walking or cycling through the renowned Bibbulmun Track. A visit to Golden Valley Tree Park is a must; here glampers can find an interesting collection of trees from all over the world. A new mountain bike trail and park that was just built near the rental called Linger Longer is a perfect place to unwind in nature. Guests interested in bringing pets must notify ahead of time. This lovely site offers facilities for horses.